We are thrilled to announce the GigMasters’ Rising Star Award winners for 2018! The Rising Star Award goes to GigMasters members who have earned the most booking dollars in their primary category in 2018. All winning members have been notified via email and the badge has been added to their profiles. You can view the full list of the 2018 winners here. Here at GigMasters, 2018 was a record year in many different ways. 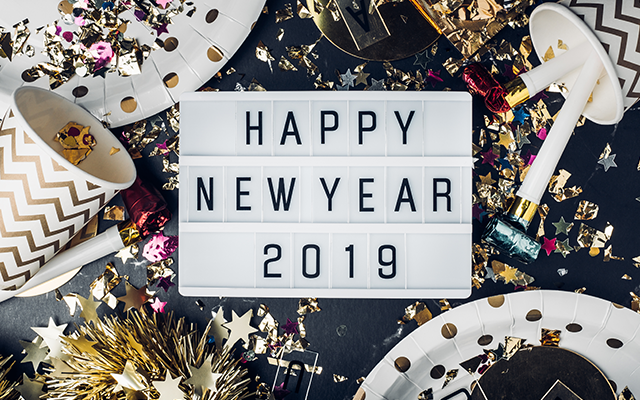 Thank you to all of our members for the support and dedication throughout the year and cheers to a prosperous 2019! Here's a look at the top 5 highlights of 2018. It’s that time of the year! Awards season is here and we’re kicking it off by announcing the GigMasters Best of 2018 Award winners! This award goes to members who received 4 or more client reviews of 4 stars or higher in 2018. We are excited to announce that GigMasters has significantly increased the audio/video storage limits for Basic, Pro, and Gold members and has made improvements to the quality of videos played on GigMasters. Keep reading to learn more about these two new updates and what they mean for you! It’s awards season and we’re excited to announce the GigMasters’ Rising Star Award winners for 2017. The Rising Star Award goes to GigMasters members who have earned the most booking dollars in their primary category.